"Top sellers and recommended reads from the Somerset spa city" notes Anita Sethi, writer and journalist. One of Mr B’s bathtub book displays. 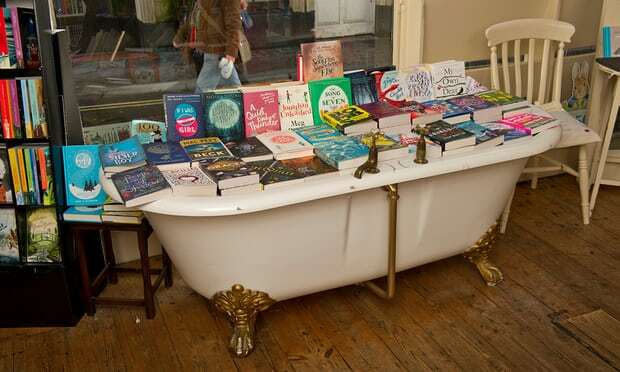 Mr B highlights include claw-foot bath book displays, toilets illustrated by former children’s laureate Chris Riddell, bibliotheraphy rooms, and the Bookshop Band, who play songs that they’ve written inspired by the books of guest authors.